Due to rapid industrialization and increased demand for personal mobility China is facing unprecedented air pollution, whilst grappling with growing energy demands. Vehicles use vast amounts of energy. In China, over 95 per cent of on-road vehicles are powered by fossil fuels such as oil and gas. While alternative fuels such as ethanol, methanol, and natural gas products are being produced and researched, introducing these fuels is difficult. 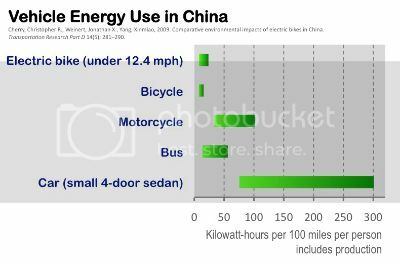 • Electric vehicles would reduce consumption of oil-based fuels and boost China’s energy independence: the cars would power up with electricity generated primarily from domestic coal. Based on the current expectations for the per capita growth of vehicle ownership, oil consumption could increase by 70 percent between 2010 and 2020, exposing the country to global supply fluctuations. • Electric vehicles could help reduce carbon dioxide emissions and air pollution. China being the world’s largest emitter, on a well-to-wheels basis, battery-powered electric vehicles could cut carbon dioxide emissions by about 40 percent compared to vehicles powered by internal-combustion engines. Emissions of both carbon monoxide and nitrogen oxides could fall by roughly 99 percent and 50 percent, respectively. • A large domestic market for electric vehicles would give Chinese automakers an excellent springboard to reach the world stage. In 2009, the government recognized that while domestic automakers probably couldn’t catch up with their global rivals’ internal-combustion-engine technology anytime soon, they had the potential to assume a leading position in the fledgling electric-vehicle segment. This approach could succeed, the government hoped, if Chinese companies rapidly brought battery-electric vehicles to mass production and consolidated technological advances in batteries, traction motors, and power electronics. However, according to McKinsey Research, progress has been disappointing: Automakers have produced only a fraction of the vehicles once expected, and ownership has fallen far short of projections, while the needed infrastructure has failed to materialize. Also, notwithstanding massive investment in battery R&D by automakers and suppliers, few vendors are qualified to provide batteries to the industry. • Somewhat unexpected was the removal of the restriction on ad-hoc subsidies for low-speed electric vehicles. Despite the Chinese Government’s drive to develop a sophisticated EV industry, Shandong Province has for many years tacitly continued with the development and operation of low speed EV’s: Growing its EV base to 20 automakers that produced just over 1000 electric buses in 2012 of which 980 were sold. Even more noteworthy is the fact that 128,000 low speed EV’s were produced in Shandong in the same period, an increase of 68.6% over the previous year. Shandong Province has long been a home to low speed electric vehicles, but now with official affirmation from the National Development and Reform Commission (NDRC) the Province has been confirmed as a low speed electric vehicle test zone. Why this focus on low-speed electric vehicles? Quite simply - Cost. Automakers can produce low-speed EVs for 10% of the cost of a fully fledged EV. 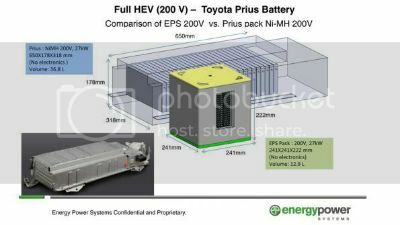 Not only do they use relatively cheap lead acid batteries instead of the more power-dense Li-ion cells commonly found in HEV’s, PHEV’s and EV’s but, because they’re not regulated, require no safety equipment. Another reason for the rising popularity of low-speed EV’s is that they can be operated without a license and don’t require insurance. However, due to the low power density of lead acid batteries the range and performance of low speed EV’s are severely curtailed. But recent technology breakthroughs could dramatically improve performance. Developed in association with Controlled Power Technologies (CPT), the Advanced Lead Acid Battery Consortium's (ALABC) new Lead Carbon Super Hybrid system provides good power density, charge cycling and durability, at a lower cost than existing nickel-metal or lithium-ion applications. The new lead-carbon technology, which is based on Lead-acid batteries, is unique in that it slots special types of carbon to the negative plates. According to ALABC and CPT, the batteries have a long life-cycle (around 160,000 km’s or more), are tolerant to relentless charging and discharging, and like regular lead-acid batteries, they're also cheap, recyclable and operate across a wide temperature range. ALABC and CPT say the technology will begin to filter through to production models from around 2015. In another project to improve the performance of Lead-acid batteries U.S.-based startup, Energy Power Systems, announced a new-wave lead-acid battery which can be produced at a fraction of the cost of Li-ion while delivering 1,900 W/kg; four times that of the best lead-acid battery on the market. The secret to this battery is its physical design. Subhash Dhar, chairman, CEO and founder of the company claims: "We’ve changed the particle size, the morphology of the material, how we make the electrodes, their dimensions and thicknesses and how they’re assembled." If all goes well, production will start in the fourth quarter of 2014 and be ramped up in early 2015 for aftermarket, conversion-vehicle, stationary and commercial-vehicle applications. The breakthrough could mean a dramatic change to the dynamic growth of lead-acid battery-powered low-speed electric cars in China. With China relying on the homemarket to kickstart demand for EV’s and given the high cost of current Li-ion (And other high density batteries) it’s clear that to establish the industry lower cost Lead-acid technology used in low speed EV’s is a prudent strategy. However as Yang Yusheng, an academic at the Chinese Academy of Engineering points out: "Lead-acid batteries are becoming more competitive as new technological breakthroughs are made in foreign countries, but China lags behind in this technology due to lack of government support." Hopefully the work being in Shandong Province will now receive the much needed government support.